Sean Combs, also known as Puff Daddy, is an American record producer, businessman and rapper. This biography profiles his childhood, music career, life, achievements and timeline. Puff Daddy, also known as ‘Diddy’ or ‘P. 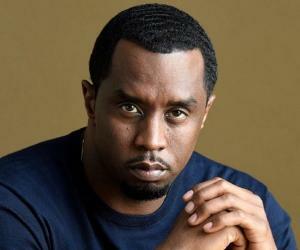 Diddy’ is a three time Grammy Award winning American rapper, record producer and entrepreneur. He is one of the biggest names in the American music industry, who has successfully carved out a niche for himself. Born in Harlem, New York, tragedy struck his family when he was still a child. He lost his father who was shot dead and was later raised by his single mother. After dropping out from Howard University, where he was studying business, he later established the Bad Boy Records, a record label, which launched the careers of many successful artists in the music industry. After a series of successful productions, he came out with his debut album titled, ‘No Way Out’, which became a massive hit. 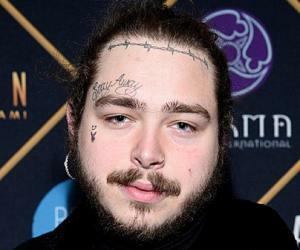 With the success of his debut album, he reached the pinnacle of his music career and went on to produce more hit albums and also launch his own albums. Some of his albums include, ‘Forever’, ‘The Saga Continues.’, ‘Press Play’ and ‘Last Train to Paris’. He also owns a clothing line. 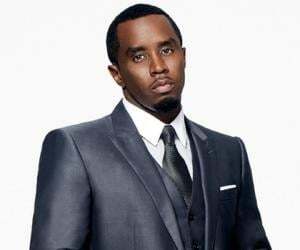 Sean John Combs, better known by his stage name, Puff Daddy was born on November 4, 1969 in Harlem, New York, U.S. to Janice Combs, a model and teachers assistant and Melvin Comb, an associate of a drug dealer. In 1974, his father was shot dead, when he was still a child. After the death of his father, he was raised by his mother in the neighbourhood of Mt. Vernon, New York. In 1987, he graduated from the Mount Saint Michael Academy, an all-boys Roman Catholic high school. In high school, he regularly played football and even won a division title. In 1989, he dropped out of the Howard University, where he was pursuing his majors in business and joined as an intern with New York’s Uptown Records. He was eventually fired from there. In 1993, after he lost his job at Uptown Records, he established ‘Bad Boy Records’ along with Arista Records and The Notorious B.I.G. The venture produced many successful hits like the The Notorious B.I.G.’s ‘Ready to Die’ album. ‘Bad Boy Records’ signed with many other artists including Mary J. Blige, with whom he guest produced the album, ‘What’s the 411?’ and executive produced ‘MY Life’, initially. They also signed with ‘TLC’, a girl band. In 1995, ‘Bad Boy Records’ released the Faith Evans debut album titled, ‘Faith’, which also featured Mary J. Blige in the single, ‘Love Don’t Live Here Anymore’. The album did well on the charts. In 1996, he was the executive producer of the R&B band ‘Total’s’ self-titled album, which did reasonably well on the charts. The hit singles from the album include, ‘Can’t You See’ and ‘No One Else’. In July 1997, he came out with his debut album titled, ‘No Way Out’, which was released under the ‘Bad Boy Records’ label. The album was a success commercially and featured, ‘Can’t Nobody Hold Me Down’, a hit single. In May 1997, along with Faith Evans and R&B group, ‘112’, he recorded the Grammy Award winning single, ‘I’ll Be Missing You’. The song was a tribute to ‘The Notorious B.I.G’, who was murdered in March that year. In September 1997, he was one of the producers for Mariah Carey’s sixth studio album titled, ‘Butterfly’. The same year, he also produced the song ‘I Know What Girls Like’ from rapper Jay Z’s album, ‘In My Lifetime, Vol. 1’. In 1999, he came out with his album titled, ‘Forever’, which received a mix of positive and critical reviews from music critics. 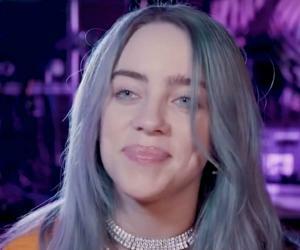 The album was released in the U.K the next year. In 2000, he was one of the producers of the album, ‘Life Story’ by the American hip hop band, the Ice Cube album, ‘War & Peace Vol. 2’, Carl Thomas album, ‘Emotional’ and the album, ‘Shyne’. In 2001, he released his album titled, ‘The Saga Continues’, which was a success on the music charts. The album featured the tracks, ‘Bad Boy For Life’, ‘That’s Crazy’ and ‘Let’s Get It’. In 2002, he was featured in ‘Feelin’ So Good (Bad Boy Remix)’, which was part of the Jennifer Lopez album, ‘J to tha L-O! : The Remixes’. That year he came out with the remix album, ‘We Invented the Remix’. In 2003, he was the executive producer of the Mary J. Blige album, ‘Love & Life’, which was a commercial success. That year he also produced the soundtrack of the film, ‘Bad Boys II’, which featured the song ‘Shake Ya Tailfeather’. In 2004, he was one of the producers of the album, ‘Tical 0: The Prequel’, which was by Method Man. The album peaked at the music charts and also received good reviews. In 2006, he came out with his album titled, ‘Press Play’, which received mixed reviews but was nevertheless an immense success on the music charts that year. In 2007, he was the one of the associate producers of the Jay Z album titled, ‘American Gangster’, which was a commercial success. That year, he was the executive producer of the album, ‘Ridin High’ by rap duo ‘8Ball & MJG’. In 2008, he was one of the producers of the track, ‘Freak’, which was part of the album, ‘In and Out of Love’ by American R&B singer, Cheri Dennis. The same year, he was featured in ‘Take You There’ from the album, ‘Just a Rolling Stone’ by Donnie Klang. In 2010, he released his album, ‘Last Train to Paris’, which was released under the Bad Boy Records label. Before the album was released he came out with the singles, ‘Angels’, ‘Hello Good Morning’, ‘Loving You No More’ and ‘Coming Home’. 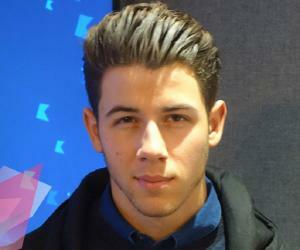 In 2011, he appeared as a guest star in the season one episode of TV series, ‘Hawaii Five-0’. The following year, he announced the launch of the music-oriented cable television, ‘Revolt TV’. In 2012, he was seen in the eight season episode of the American TV sitcom, ‘It’s Always Sunny in Philadelphia’. He has appeared in the films, ‘Made’, ‘Monster’s Ball’ and ‘Get Him to the Greek’. His single, ‘Can’t Nobody Hold Me Down’ from the album ‘No Way Out’ peaked at the number one position on the U.S. Billboard Hot 100 for an unprecedented six weeks. His album ‘Press Play’ peaked at the number one position on the U.S. Billboard Hot 100. As of 2008, the album has sold 700,000 copies in the United States of America alone. In 1998, he received the Grammy Award for the category of ‘Best Rap Album’ for ‘No Way Out’. In 1998, he received the Grammy Award for the category of ‘Best Rap Performance By a Duo or Group’ for ‘I’ll Be Missing You’. In 2004, he received the Grammy Award for the category of ‘Best Rap Performance By a Duo or Group’ for ‘Shake Ya Tailfeather’. In 1995, he founded ‘Daddy’s House Social Programs’, an organisation dedicated to helping youth through tutoring, annual summer camps and other activities that will help empower them. He is the owner of the clothing line, ‘Sean John’ and has also launched a men’s perfume named, ‘I Am King’. He also owns restaurants. He is the father of five children. He is also the step-father of Quincy, who is the son of his former girlfriend, Kimberly Porter. His eldest son, Justin was born from designer Misa Hylton-Brim, whom he dated in high school. Christian and twin daughters D’Lila and Jessie were born from his relationship with Kim Porter, which ended in 2007. The same year, he claimed to take legal responsibility of Chance, who was born out of his relationship with Sarah Chapman. 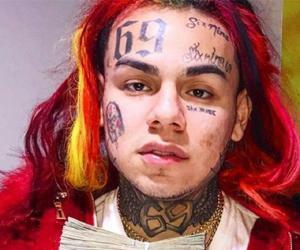 This Grammy Award winning American record producer and rapper was once arrested with his then girlfriend, Jennifer Lopez in a shooting case. The police also found a gun in his car.